Took a little while to get to sleep last night, as the emus and kangaroos were wondering around the campsite. This morning it is raining. So I read my book in the tent until it stopped. Once the rain had stopped, I initially had a short walk around the bay. After, I rode out to Golden Island lookout. The roads in the park are certainly nice and hilly. Just my sort of terrain. The views along the coast were great. You could see more large sand dunes and endless beaches. It was very windy when I got to the lookout. The island is just off the coast and again provides some more great views to enjoy. 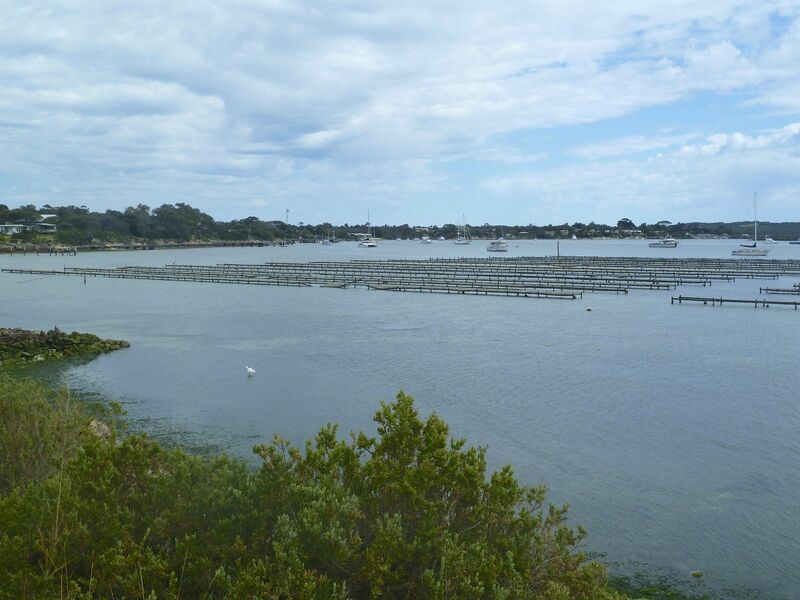 Once I finished with the lookouts I rode back to town and sat near to where some of the oysters are farmed. Here I got to enjoy my second breakfast before heading to Port Lincoln. 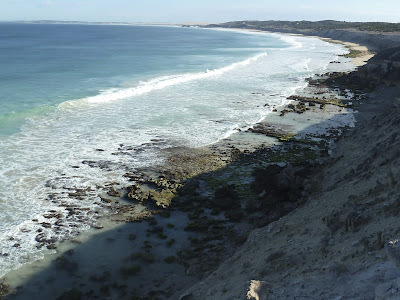 Port Lincoln is about 45kms from Coffin Bay. So it didn't take to long to get there. As I was riding there was more and more sun, which was nice. I arrived at Port Lincoln at about 2pm. 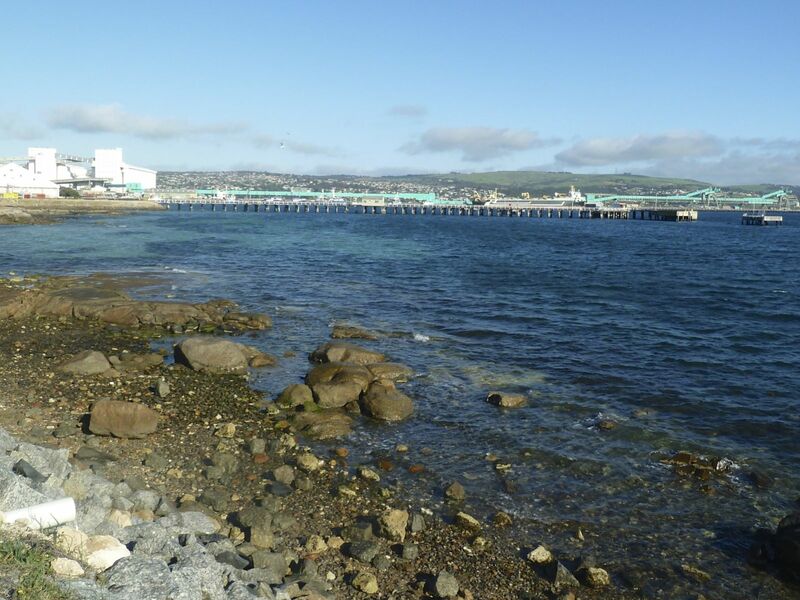 Port Lincoln is a pretty big town (or small city), located near to the tip of the Eyre Peninsula and is spread across a couple of hills. It also has a very large bay call Boston Bay. The campsite is a couple of kms from the centre of town. So after I had setup camp I had a walk into town. It was funny going to the supermarket as I had a choice of Coles or Woolworths. Last time that happened was way back in Albany. This time I picked Coles. 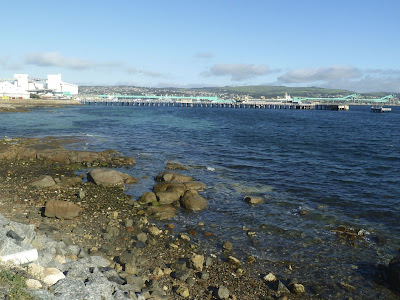 Once I had finished my shopping I sat near the waterfront before walking back to the campsite. Today, once again has been pretty good for riding. 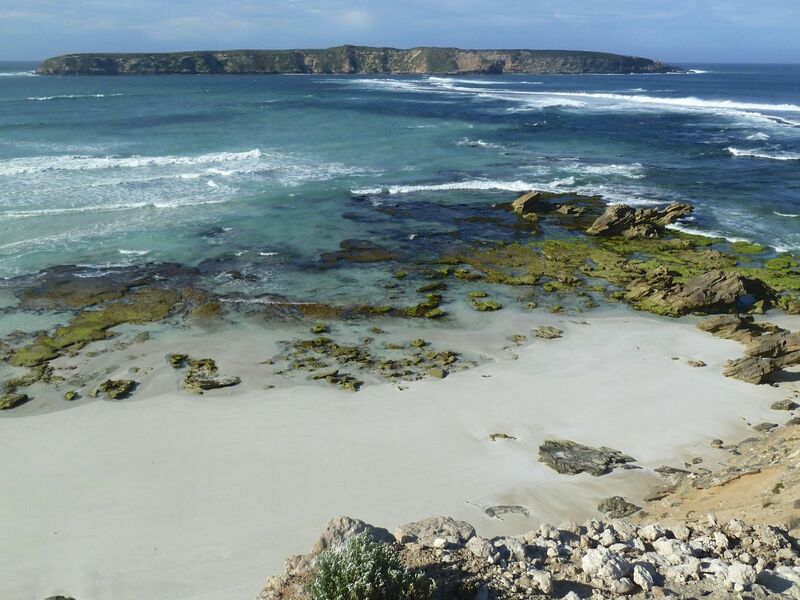 Also it was nice to spend most of the morning in the national park before coming to Port Lincoln. Tomorrow I'll start heading up the eastern side of the peninsula.